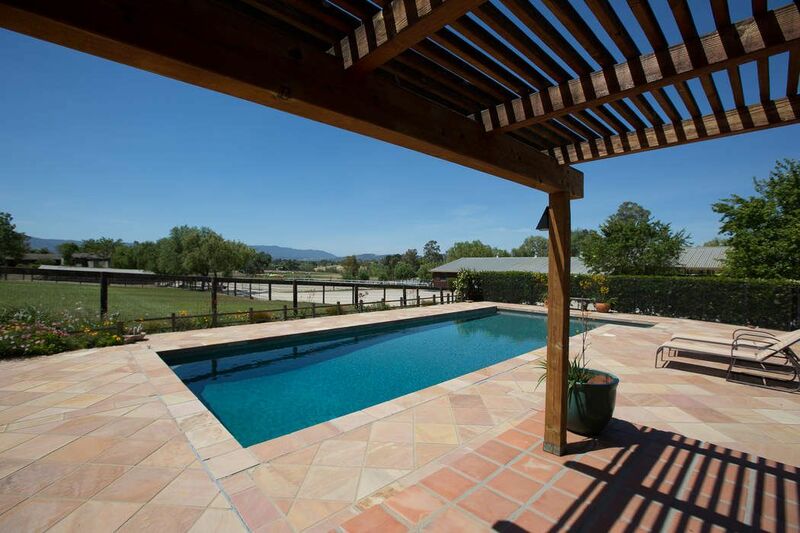 2850 Baseline Avenue, Santa Ynez, CA 93460 | Sotheby's International Realty, Inc.
$1,750,000 4 Bedrooms2 Full Baths3,788 sq. 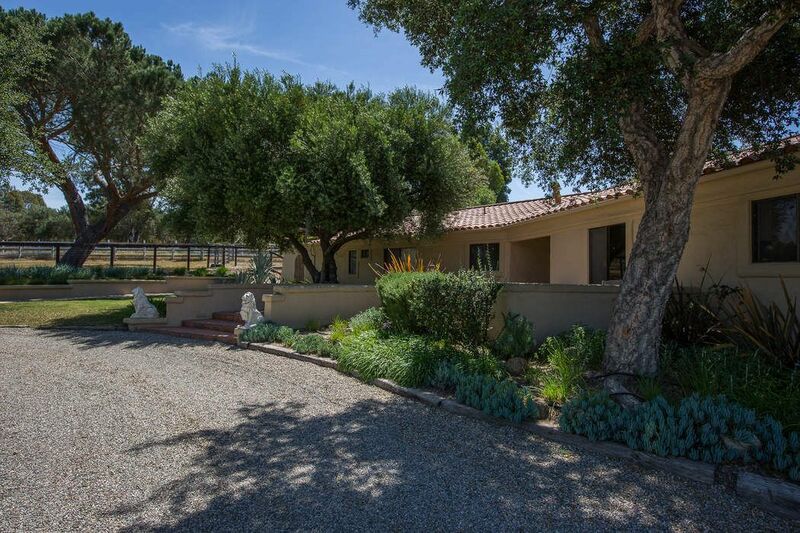 ft.
Classic Santa Ynez ranch on approximately 5 acres in an ideal central Valley location, close to shopping, schools, and much more. 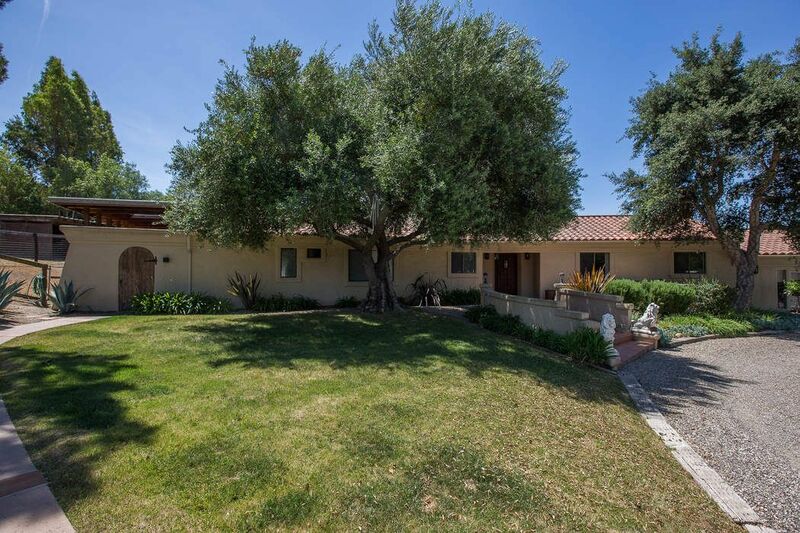 Several mature Oak and Olive trees greet visitors in front of the main residence which has a Spanish hacienda style, with a clay tile roof and stucco exterior. 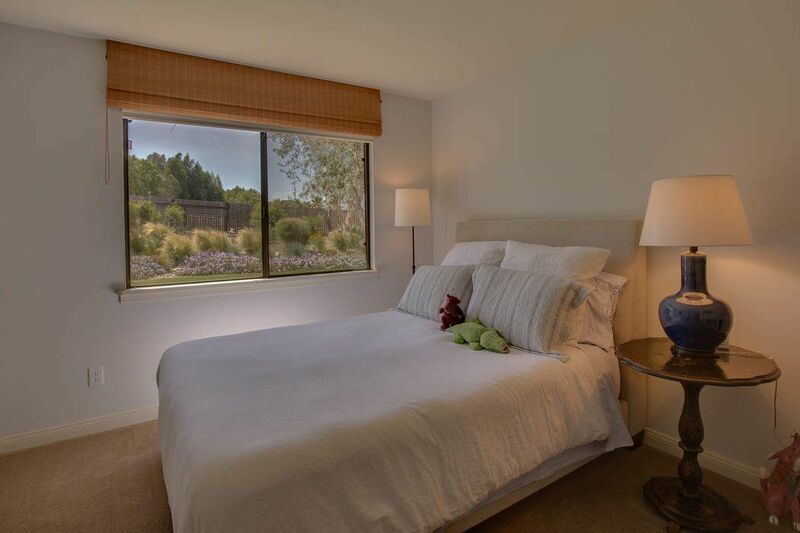 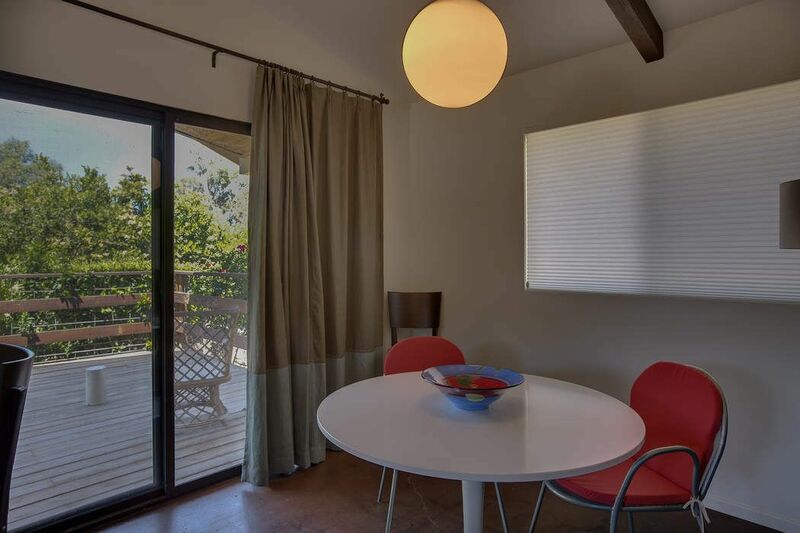 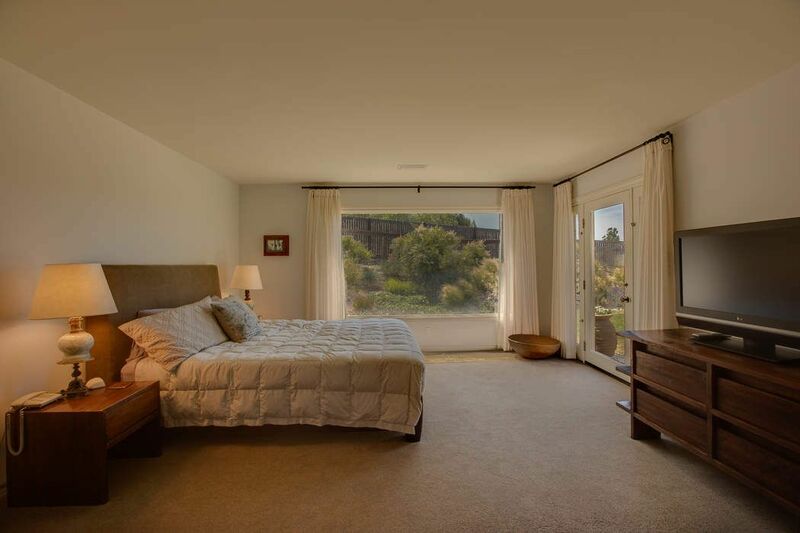 There are four bedrooms, highlighted by very large master bedroom with a secluded, shaded patio outside. 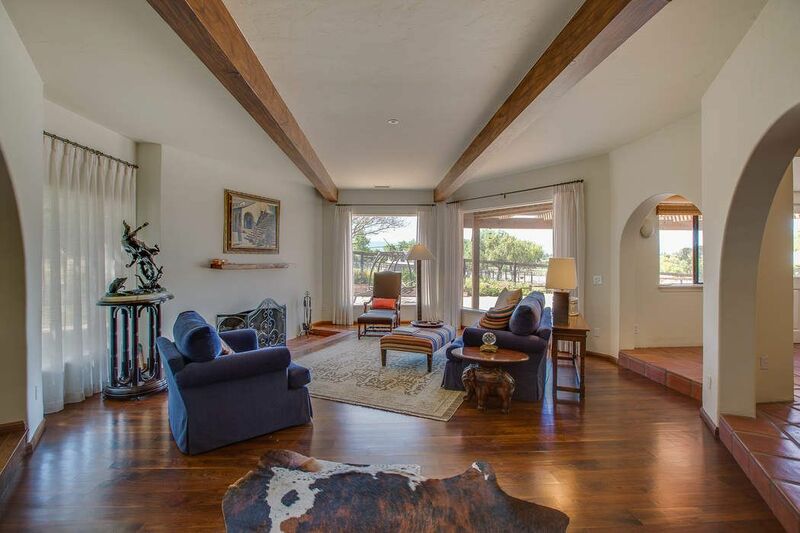 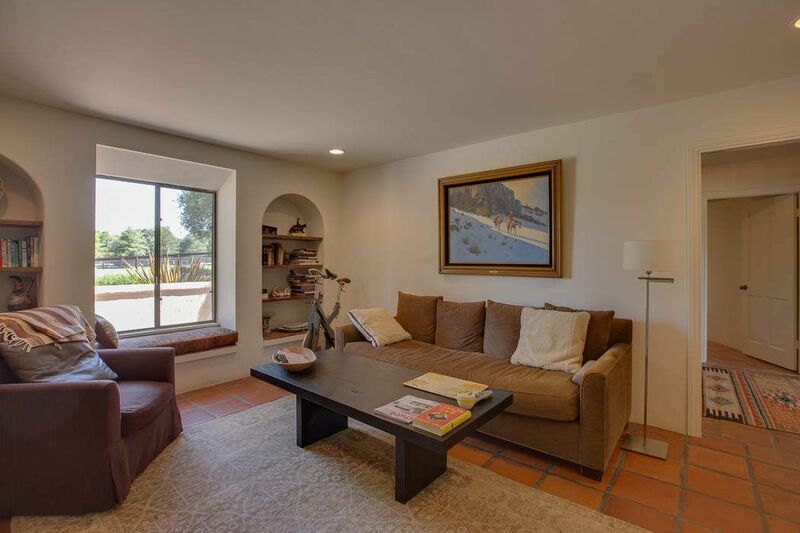 The living room has Mexican tile floors, high beamed ceilings and large windows that show the beautiful view of the mountains. 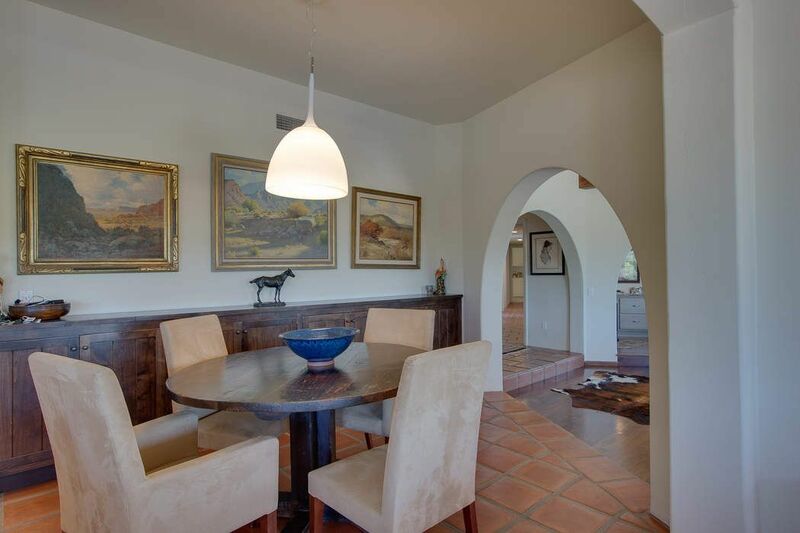 The formal dining room can also be used as a family room/den. 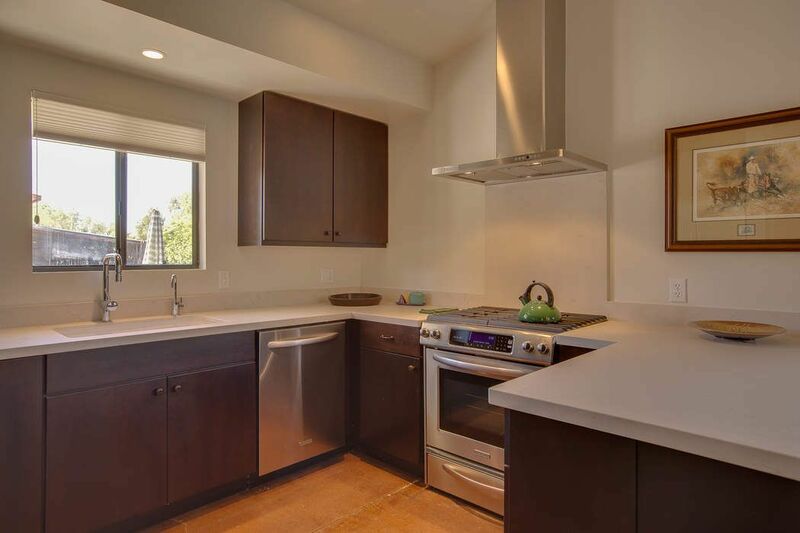 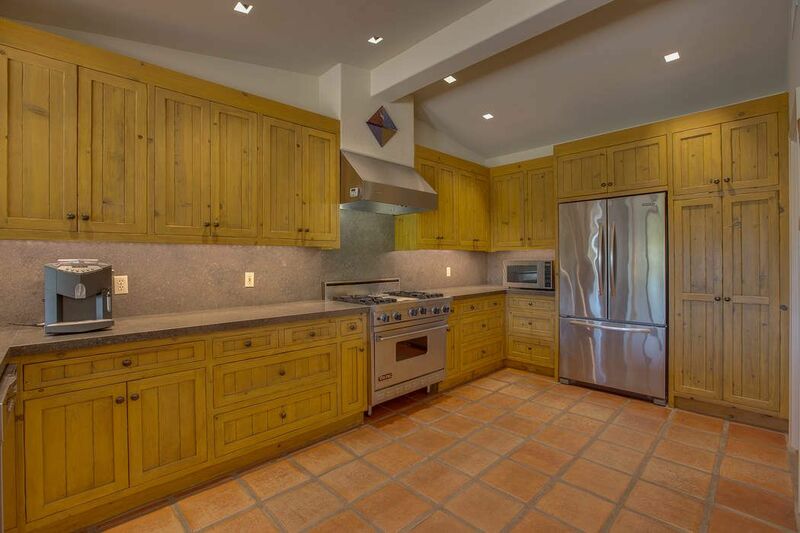 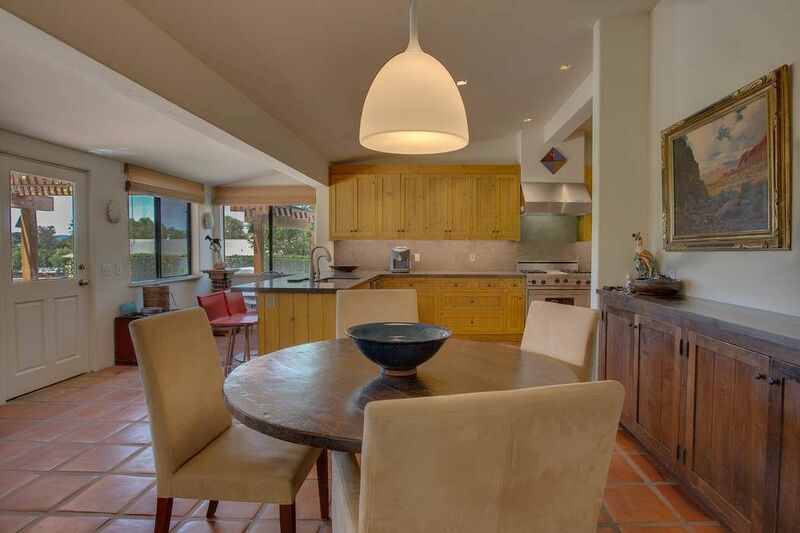 The remodeled kitchen has upgraded appliances, custom cabinets, limestone counters and Tecate tile floors. 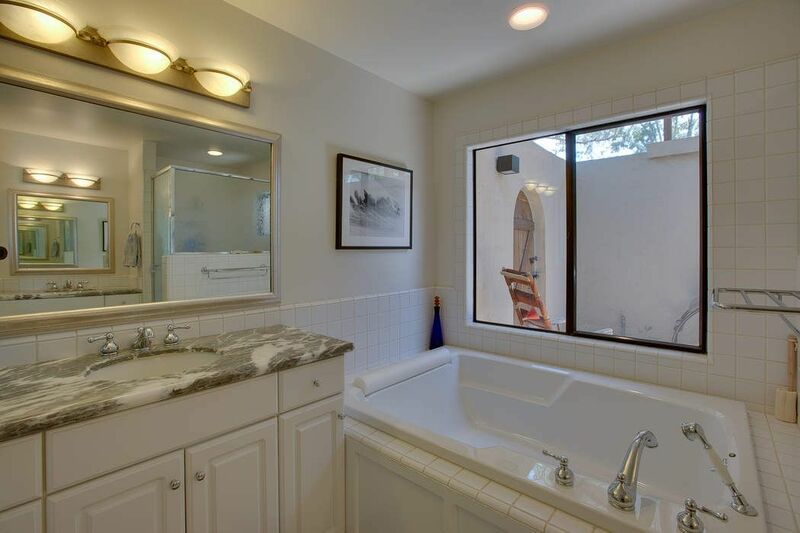 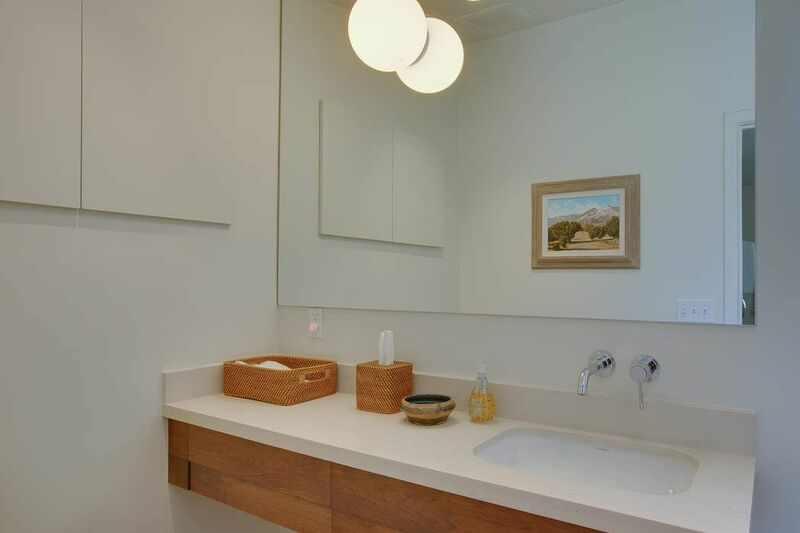 The recently remodeled 2nd bathroom has upgraded fixtures throughout. 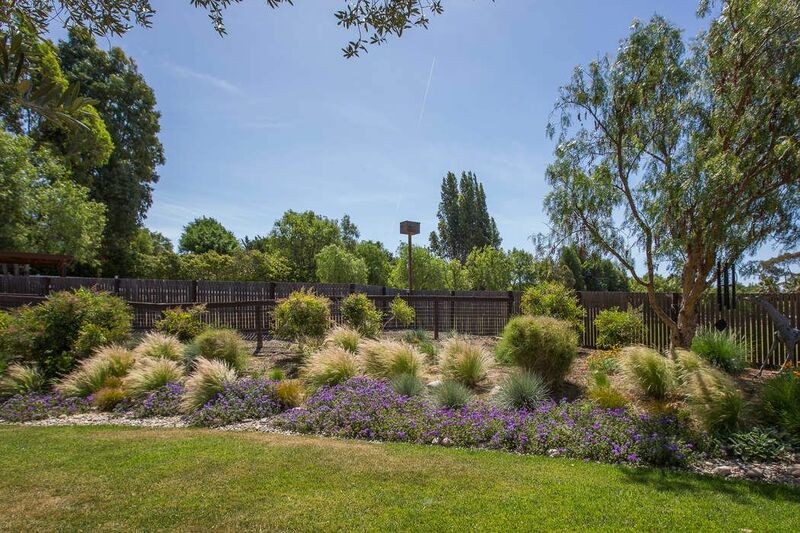 The private back yard is fenced and beautifully landscaped. 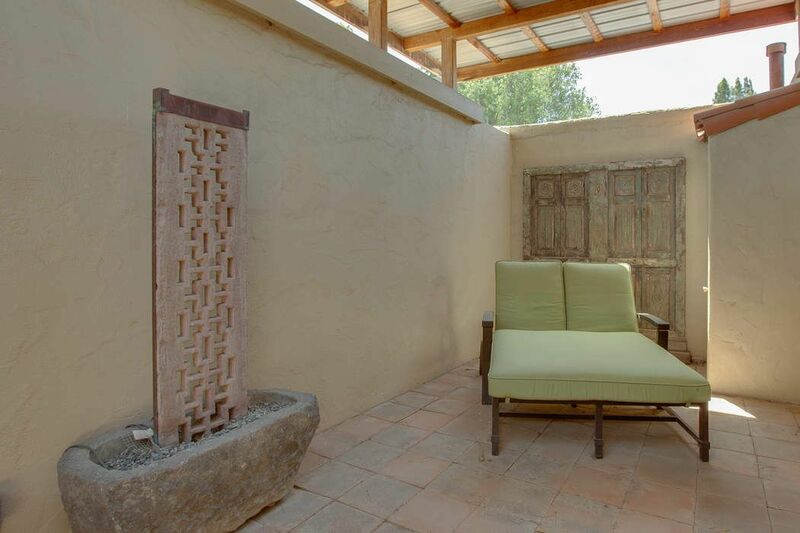 The house has forced air heating and air conditioning. 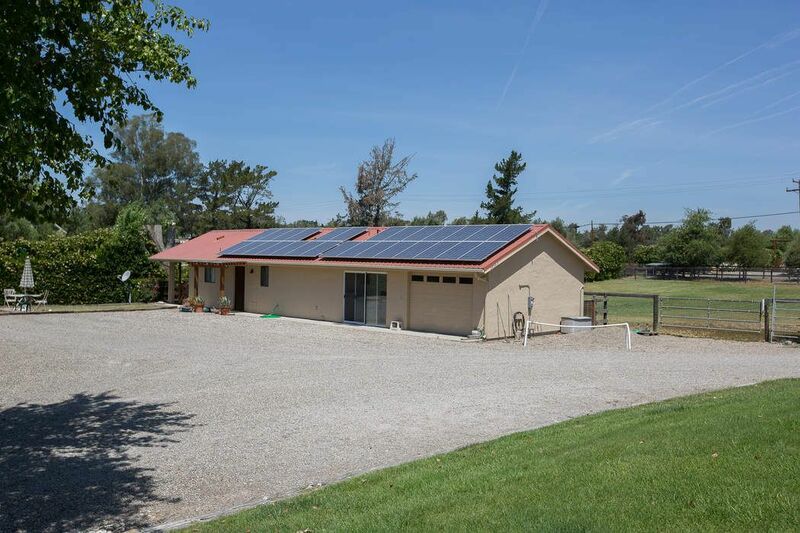 There are solar panels that service the entire property. 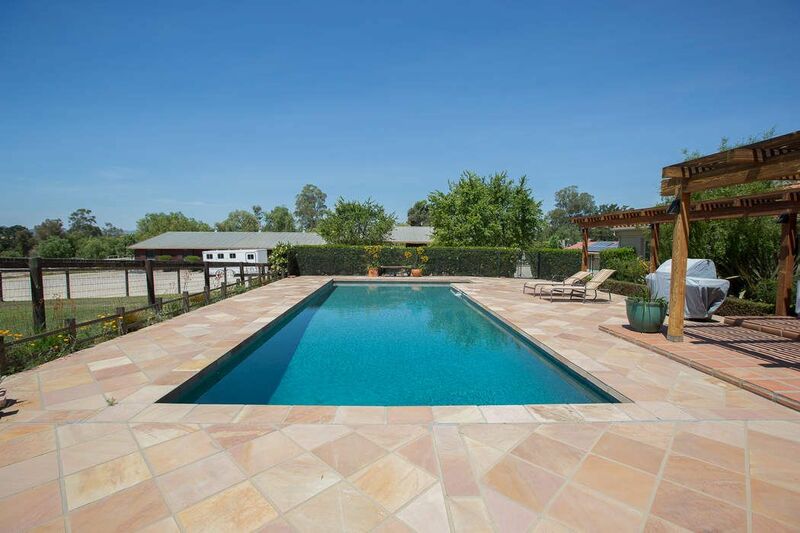 The pool/patio area has plenty of room for entertaining and views of the irrigated pasture and distant mountains as well. 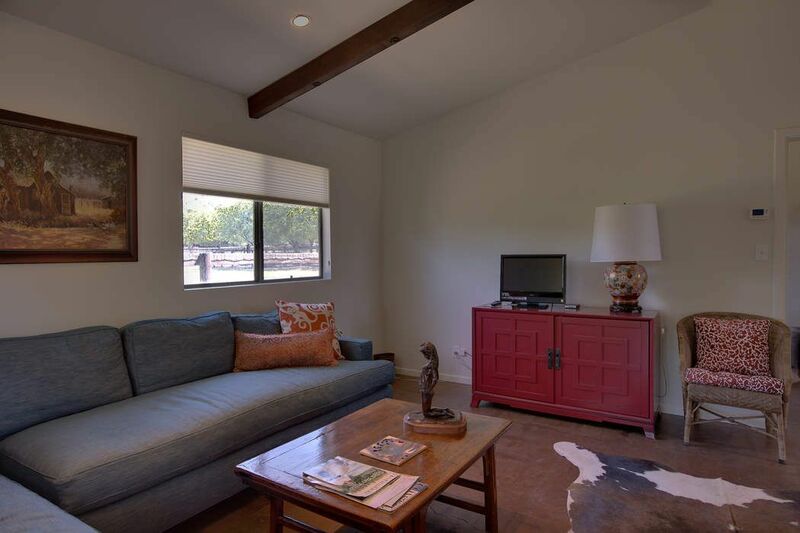 There is an attached 2 bedroom/1bath guest apartment with hardwood floors, forced air heating and new carpet. 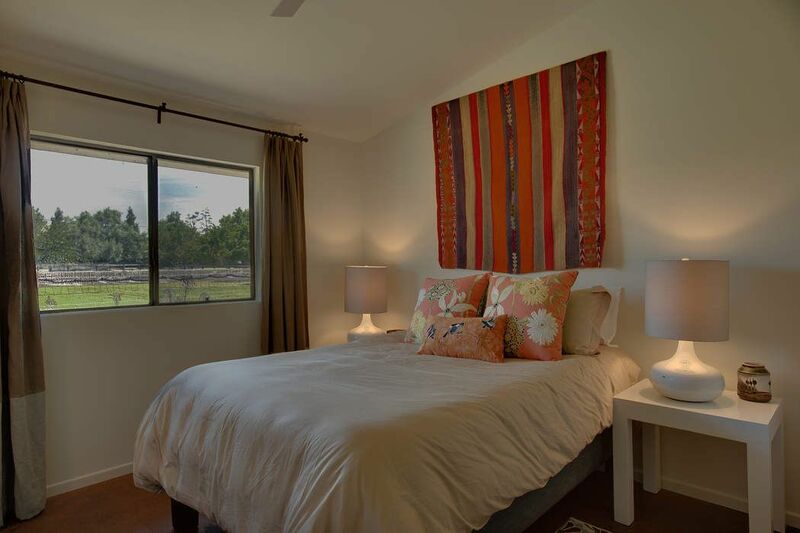 There is also a cozy one bedroom, one bath guest house with an attached 1 car garage and storage room with views of one of the front pastures. 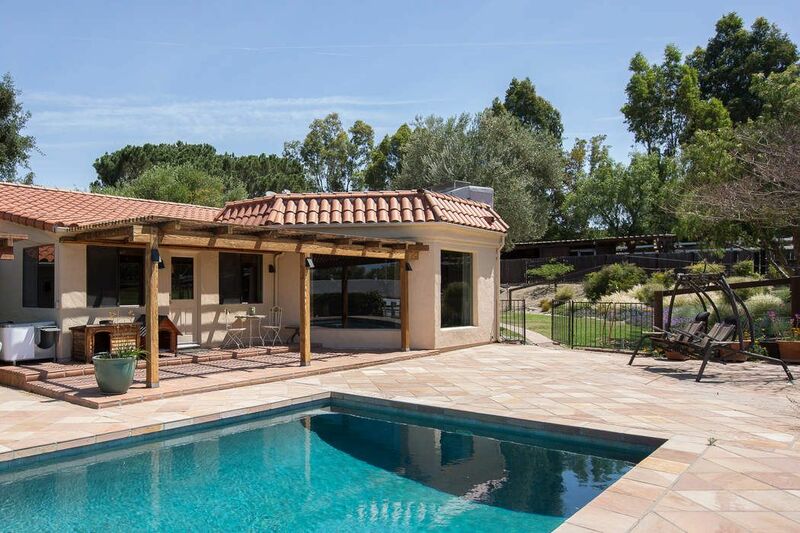 A private, oversized deck is great for barbecuing or relaxing. 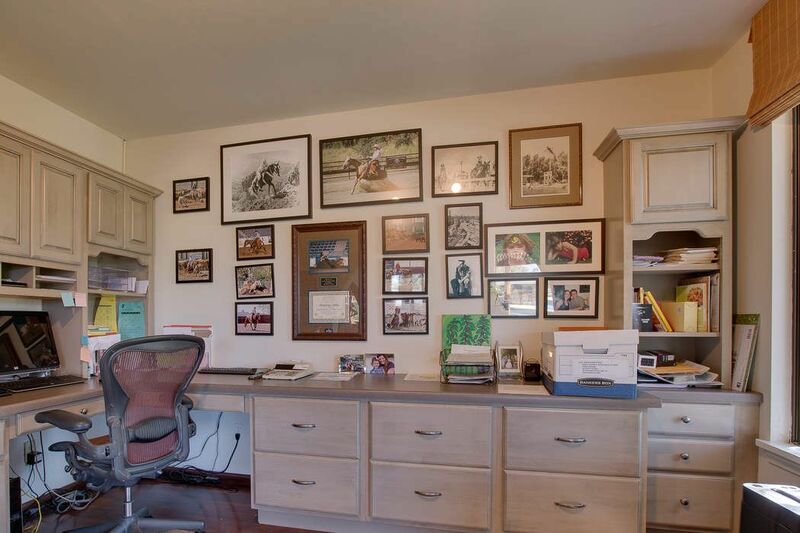 The equestrian facilities include a large horse barn with 7 stalls, tack room, wash rack and a 40’x40’ indoor storage area for hay, trailers, vehicles, RV, etc. 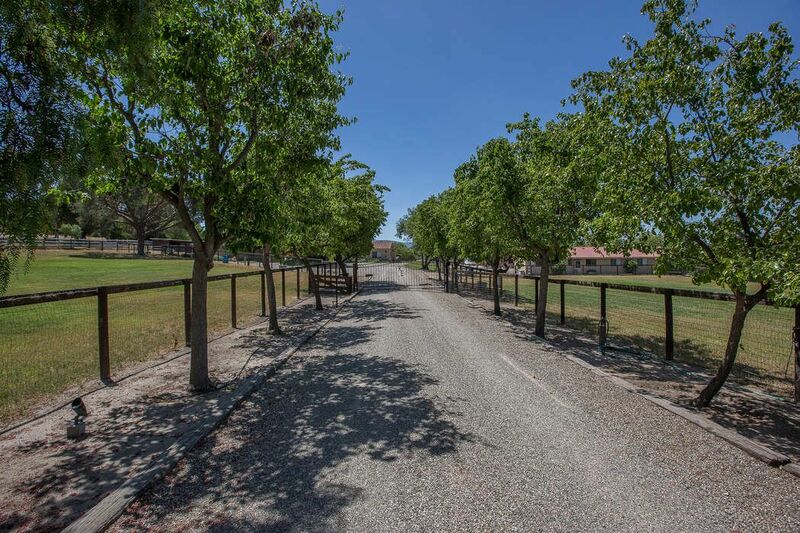 There is also a 100’ x 200’ (approx.) 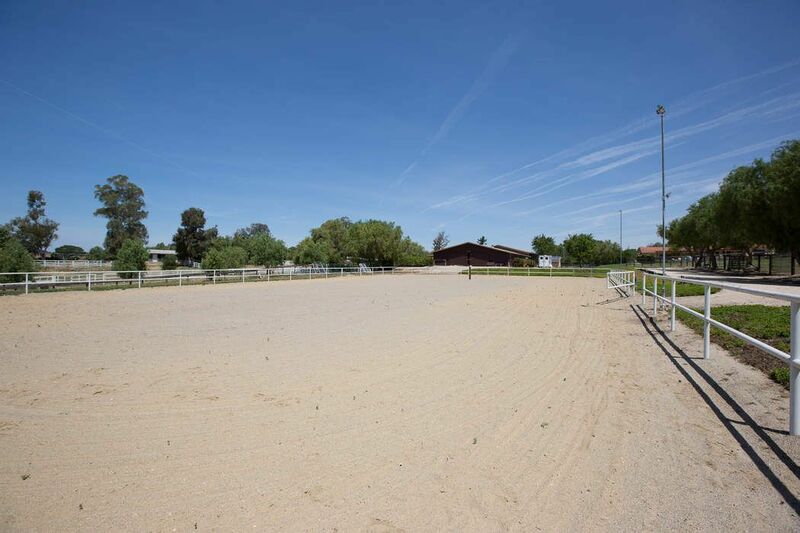 lighted, fenced arena, a mare motel with four stalls and numerous irrigated and dry paddocks. 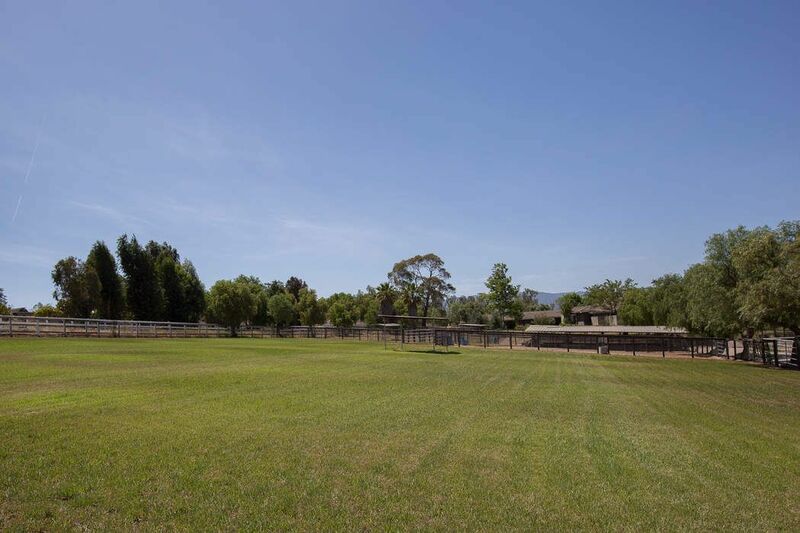 All pastures have upgraded irrigation with timers.